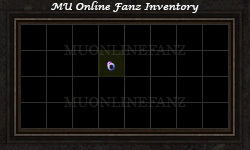 [Event] [New Year Monster] <+> [MU Online Fanz] <+> Official 3rd-party [MU Online] Fan Site & Game Guide! 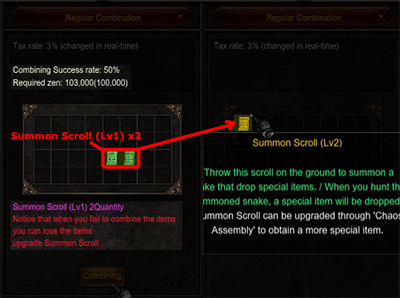 Typically, at the beginning of each year, Summon Scroll (Lv1) can be obtained while killing normal monsters. Use this summoning scroll to summon special monsters! 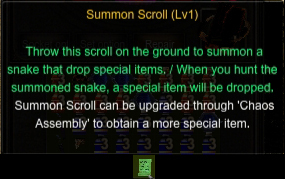 A Summon Scroll (Lv1) can be used to summon the New Year’s monster. 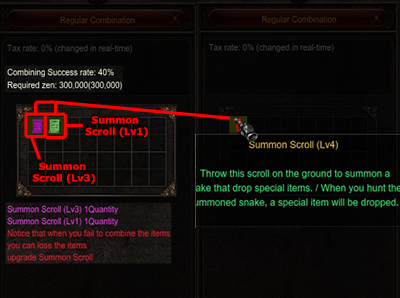 Summon Scroll (Lv1) can be obtained from Lv 20+ monsters. Summon Scroll (Lv1) can be upgraded up to (Lv4), via the Chaos Goblin Machine. 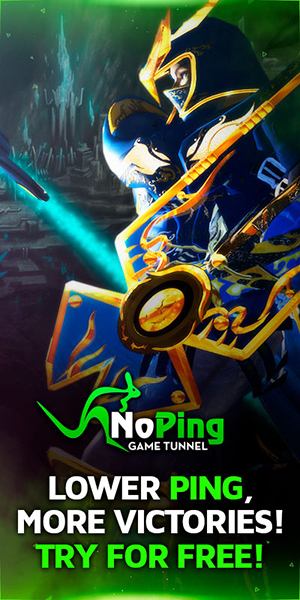 Summoning item can only found in-game during an official WEBZEN event. Summoned monsters have a special reward list. Monsters summoned from Summon Scroll (Lv4) have the most valuable rewards. Each year, the summoned monster is changed to fit the New Year's animal. You can upgrade the Summon Scroll's base level, via Chaos Goblin Machine. Summon Scroll (Lv2 ~ Lv4) have much better drops than Summon Scroll (Lv1). What is a Decoration Ring? These rings are periodic, and will expire after using them over a period of time. These rings have one of the best damage boosting properties in the game, compared to other rings. Durability decreases one increment per minute. Rings with zero durability may still be worn to add Oriental Decorations, but give no status effect.